Together, we can make an impact! Sign up to become involved and learn more ways to engage with The Brave Coalition's mission. Our list is private and we will never provide your information to outside third parties. 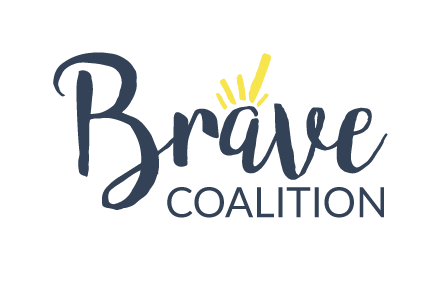 Support our mission financially and become an integral part of The Brave Coalition's programming. We are a designated 501(c)(3) organization, which means your donations are tax-deductible. We are now an official cause for Bravelets jewelry! The Brave Coalition will receive 10% of any purchase made HERE.